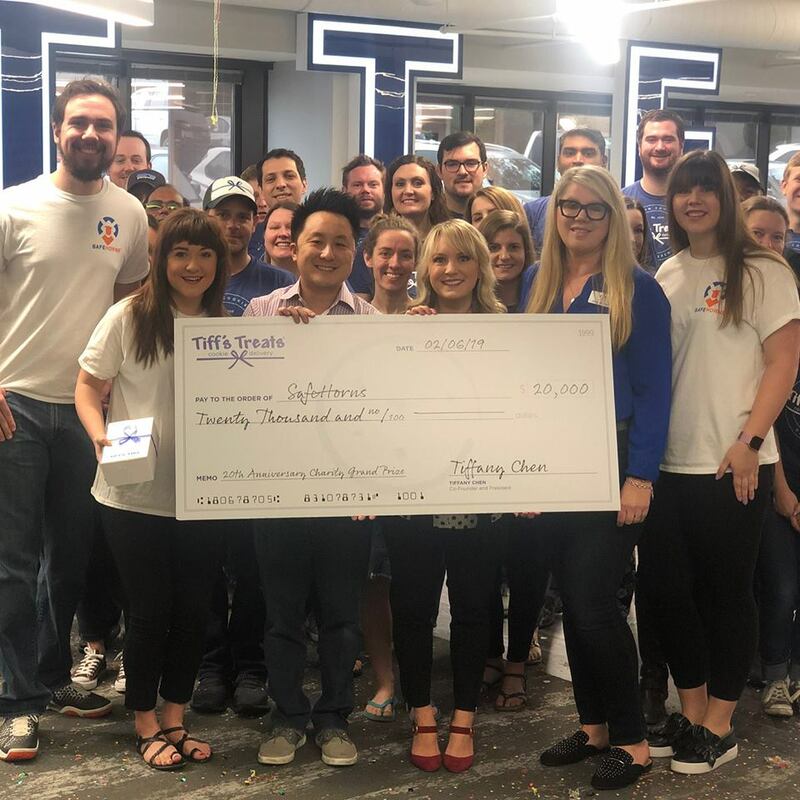 Today was the big reveal for Tiff’s Treats 20th Anniversary $20,000 Charity Donation Contest…and the winner was SAFEHORNS! With over 200 charities participating, SafeHorns edged out the competition with the most orders to win the prize! In total, $43,000 was raised by all the charities in the contest. Thank you to all the SafeHorns supporters for answering the call and ordering delicious Tiff’s Treats! We couldn’t have done it without you! !